Next generation sequencing technologies revolutionized many areas of genetics and molecular biology, enabling quantitative analyses of the entire genomes and paving the way for Personalized Medicine. We develop novel statistical methods and computational algorithms for multi-omics processing and integration, and leverage Big Genomic Data to elucidate various problems in precision health, such as genetic and epigenetic mechanisms of cancer development and progression, and clinical impact of functional variants. Advancements in high-throughput sequencing technologies resulted in an explosive growth of multi-omics data. While presenting a tremendous opportunity for quantitative studies of numerous biological processes, crucial for both fundamental research and clinical applications, it also created a set of unique bioinformatics challenges for processing, integrating and interpreting of the vast amounts of data. 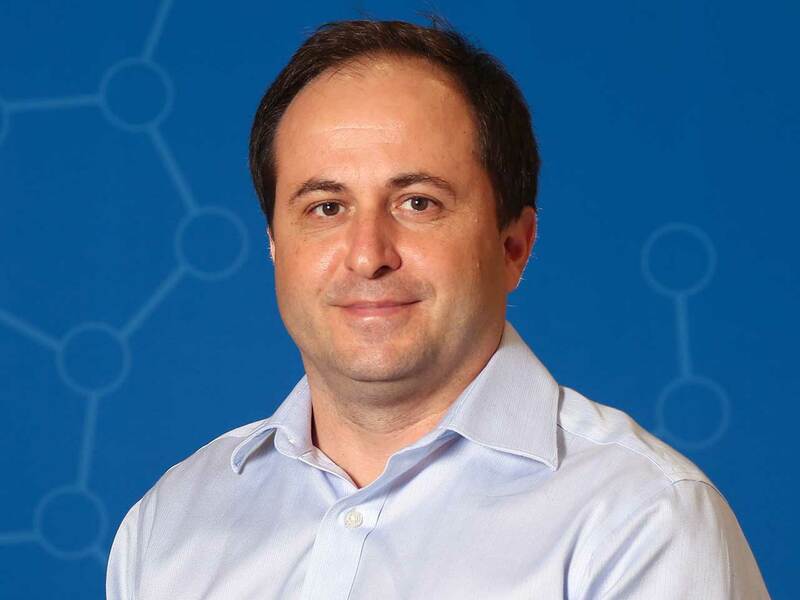 Dr. Alexander Dobin and colleagues are biological data scientists working to resolve these challenging via developing of highly efficient and accurate algorithms, such as STAR, the popular RNA-seq analysis software used by thousands of researchers worldwide. We are conceiving novel computational approaches to process data from emerging sequencing technologies, such as single-cell RNA-seq and long read nanopore sequencing, with a special emphasis on detecting RNA and DNA aberrations in tumors. Another exciting research area in our group is functional annotation of the non-coding genome via integration of multi-omics data generated by ENCODE, Roadmap Epigenomics and GTeX consortia, essential for deciphering of gene regulation mechanisms, interpretation of disease associated variants in GWAS studies, and understanding epigenetic effects in cancer biology. Teng, M. and Love, M. I. and Davis, C. A. and Djebali, S. and Dobin, A. and Graveley, B. R. and Li, S. and Mason, C. E. and Olson, S. and Pervouchine, D. and Sloan, C. A. and Wei, X. and Zhan, L. and Irizarry, R. A. (2016) A benchmark for RNA-seq quantification pipelines. Genome Biol, 17(1) pp. 74. Dobin, A. and Davis, C. A. and Schlesinger, F. and Drenkow, J. and Zaleski, C. and Jha, S. and Batut, P. and Chaisson, M. and Gingeras, T. R. (2013) STAR: ultrafast universal RNA-seq aligner. Bioinformatics, 29(1) pp. 15-21. Batut, P. J. and Dobin, A. and Plessy, C. and Carninci, P. and Gingeras, T. R. (2013) High-fidelity promoter profiling reveals widespread alternative promoter usage and transposon-driven developmental gene expression. Genome Res, 23(1) pp. 169-180. Djebali, S. and Davis, C. A. and Merkel, A. and Dobin, A. and Lassmann, T. and Mortazavi, A. and Tanzer, A. and Lagarde, J. and Lin, W. and Schlesinger, F. and Xue, C. and Marinov, G. K. and Khatun, J. and Williams, B. A. and Zaleski, C. and Rozowsky, J. and Röder, M. and Kokocinski, F. and Abdelhamid, R. F. and Alioto, T. and Antoshechkin, I. and Baer, M. T. and Bar, N. S. and Batut, P. and Bell, K. and Bell, I. and Chakrabortty, S. and Chen, X. and Chrast, J. and Curado, J. and Derrien, T. and Drenkow, J. and Dumais, E. and Dumais, J. and Duttagupta, R. and Falconnet, E. and Fastuca, M. and Fejes-Toth, K. and Ferreira, P. and Foissac, S. and Fullwood, M. J. and Gao, H. and Gonzalez, D. and Gordon, A. and Gunawardena, H. and Howald, C. and Jha, S. and Johnson, R. and Kapranov, P. and King, B. and Kingswood, C. and Luo, O. J. and Park, E. and Persaud, K. and Preall, J. B. and Ribeca, P. and Risk, B. and Robyr, D. and Sammeth, M. and Schaffer, L. and See, L. H. and Shahab, A. and Skancke, J. and Suzuki, A. M. and Takahashi, H. and Tilgner, H. and Trout, D. and Walters, N. and Wang, H. and Wrobel, J. and Yu, Y. and Ruan, X. and Hayashizaki, Y. and Harrow, J. and Gerstein, M. and Hubbard, T. and Reymond, A. and Antonarakis, S. E. and Hannon, G. and Giddings, M. C. and Ruan, Y. and Wold, B. and Carninci, P. and Guig, R. and Gingeras, T. R. (2012) Landscape of transcription in human cells. Nature, 489(7414) pp. 101-108.